Almo Professional A/V is bringing the E4 AV Tour, its traveling education/training, networking and tradeshow event, to San Jose on April 19 and Irvine on October 3. 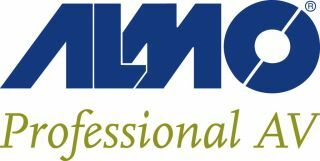 At the same time, Almo has opened a new distribution center in Reno, NV. “Our West Coast dealer base has grown substantially so we look forward to bringing the E4 AV Tour to California twice this year to give our local area resellers and integrators multiple opportunities to earn InfoComm CTS Renewal Units, participate in hands-on workshops and spend time with 35 of the industry’s top manufacturers,” said Melody Craigmyle, vice president of marketing for Almo Professional A/V. “Our new 300,000 square foot distribution facility in Reno enables West Coast partners to place and receive even the largest product orders in an extremely proficient manner.” She explained that the new facility features high-efficiency, environmentally-friendly heating and lighting as well as a state-of-the-art conveyer system for quick and effective processing and shipping." The spring E4 AV Tour kicked off last month in Chicago to local area resellers, integrators and consultants. Thanks to a partnership with InfoComm, one of the highlights of the tour is the InfoComm IoT Insights Conference at E4. Based on the IoT Insights events InfoComm held in 2016, the conference focuses on raising awareness of the role of secure, connected, Internet-enabled devices in AV solutions and strategies. Worth a total of three CTS RUs, the conference includes two sessions, a panel discussion and an exhibit hall tour. Finally, Almo has scheduled a Samsung Showcase. The exclusive interactive demo room features a creative mix of indoor SMART LED signage, semi-outdoor high ambient light displays for storefronts, outdoor displays certified to withstand the elements, as well as a videowall, a mirror display and 4K displays.